…which we all know perfectly well was the rapid trajectory. Pay attention, Europe. Pay close, close attention. And ask not for whom the bell tolls. It tolls for thee. Who Burned Down Notre Dame? Last Sunday, marauders set fire to the church of Saint-Sulpice â one of Parisâ largest and most important churches â shortly after the twelve-oâclock Mass. Police have concluded that the fire was the result of arson and are now looking for possible suspects. 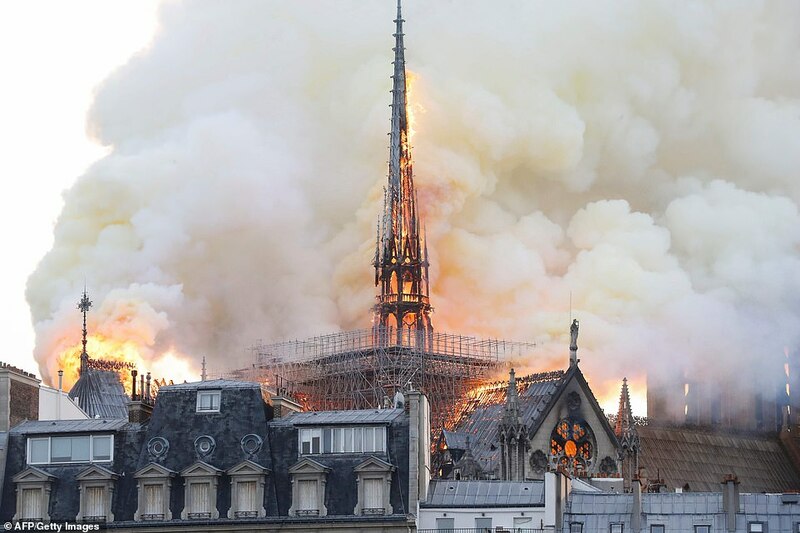 The restoration of the church from the damage caused by the fire will reportedly cost several hundred million euros. In Nimes (department of the Gard), near the border with Spain, the church of Notre-Dame des Enfants was desecrated in a particularly odious way, with vandals painting a cross with human excrement, looting the main altar and the tabernacle, and stealing the consecrated hosts, which were discovered later among piles of garbage. Likewise, the church of Notre-Dame in Dijon, in the east of the country, suffered the sacking of the high altar and the hosts were also taken from the tabernacle, scattered on the ground, and trampled. In Lavaur, in the southern department of the Tarn, the village church was assaulted by young men, who twisted one arm of a representation of the crucified Christ to make it appear that he was making an obscene gesture. In the peripheries of Paris, in the department of Yvelines, several churches have suffered profanations of varying importance, in Maisons-Laffitte and in Houilles. Although commentators have been reluctant to attach a particular religious or cultural origin to the profanations, they all share an evident anti-Christian character. In recent months, anti-Semitic gangs have desecrated Jewish cemeteries, signing their actions with swastikas. In the case of the desecration of Catholic churches, the vandalism has spoken for itself: ridicule of the figure of Christ on the cross and desecration of major altars. The Catholic hierarchy has kept silent about the episodes, limited themselves to highlighting that anti-Christian threat and expressing hope that politicians and police will get to the bottom of the crimes. 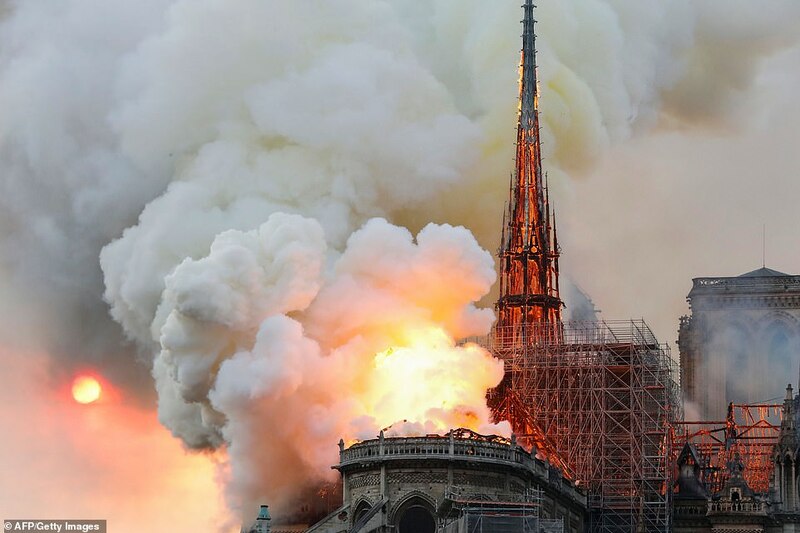 Reports indicate that 80 percent of the desecration of places of worship in France concerns Christian churches and in the year 2018 this meant the profanation of an average of two Christian churches per day in France, even though these actions rarely make the headlines. In 2018, the Ministry of the Interior recorded 541 anti-Semitic acts, 100 anti-Muslim acts, and 1063 anti-Christian acts. Who were the construction workers and companies working at Notre Dame? “No sir. We’re not doing that here. 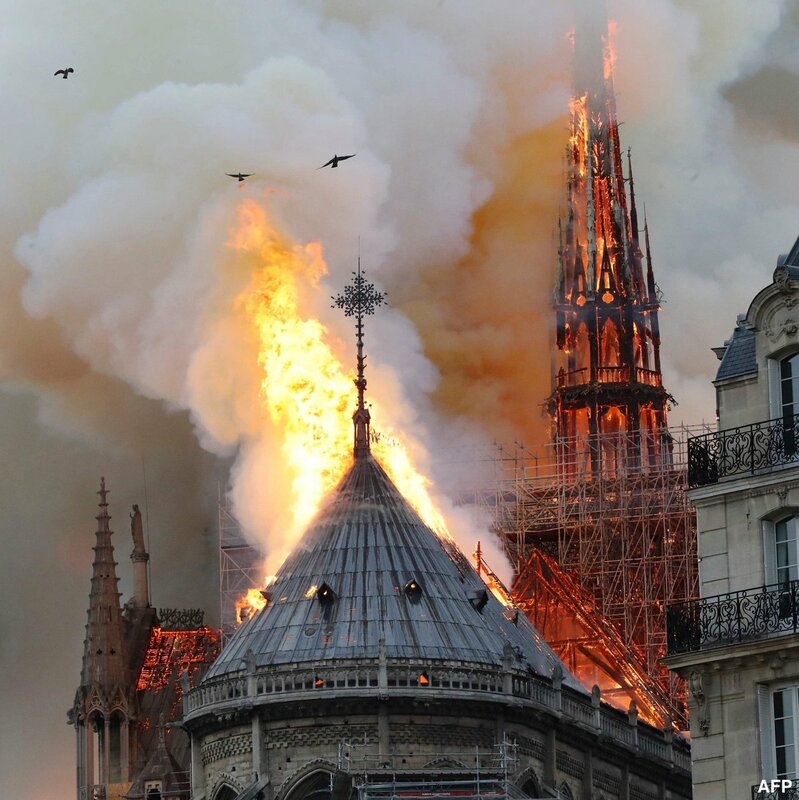 The Paris fire brigade averted far greater disaster by risking their lives to remain inside the burning cathedral to create a wall of water between the fire and two towers on the west side of the building. 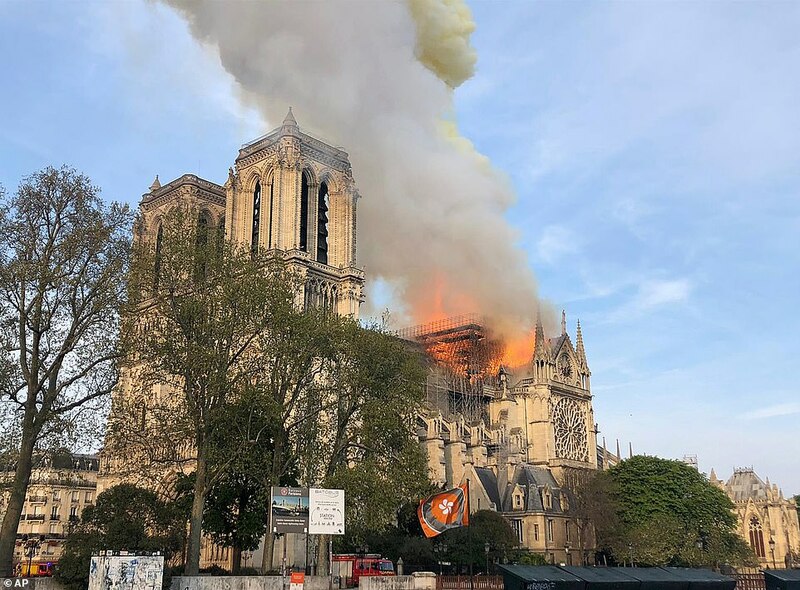 This entry was posted in Islam, Religion and tagged Notre Dame, Paris on April 15, 2019 by Bone Fish.